Every now and then you run across a fellow entrepreneur whose tale is so compelling that it stops you in your tracks. Donnie Miller, CEO of Technical Adventures, has one of those tales full of lessons that each and every one of us can learn from. 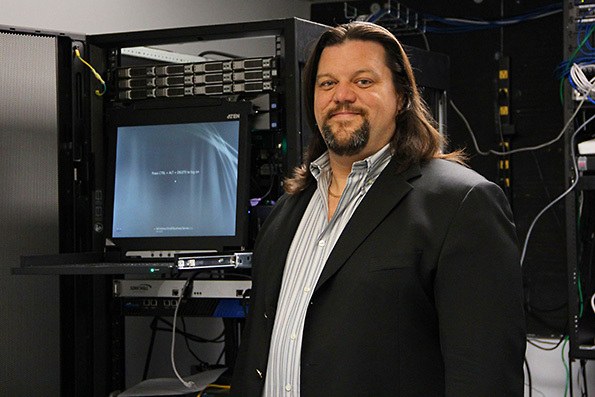 About 10 years ago, Miller founded Technical Adventures, a company that provides full-service IT support for companies, which he ran solo for nearly a year. He nurtured and grew the business, hiring hungry, tenacious employees who were committed to building the support team and fostering the communication that’s essential to providing reliable IT support. He gradually stepped away from the everyday duties of doing the IT work itself, but remained involved in every facet of the business. He was the salesman, numbers guy, lead technician, fire extinguisher, chief bottle washer … you name it, Miller did it. Anyone who has grown—and I mean really grown—a business knows there are points at which you hit a wall. There are times you plateau and it takes significant effort or reorganization to move past your plateau and continue to grow. Miller had reached that point, the point at which he literally couldn’t handle any more. Something had to change. What did he do? He stepped back from his business. He took himself out of the office and went on a six-month sabbatical. He removed himself from the day-to-day workings, which is something many entrepreneurs would find almost impossible to even consider. How did he do it? Very carefully. Miller knew he needed to change the way his business ran in order to improve his quality of life and grow the company any further. His first step was to take a look at the company and define all the necessary roles. He looked at how his 10 employees fit into those roles and carefully outlined responsibilities and procedures with the assistance of his tech and finance managers. He and the managers developed systems that would permit Technical Adventures to run smoothly and efficiently without Miller’s hands-on, everyday involvement. Once he had the office set up so it could run without him—in theory, at least—it was time to test it. Miller started with a few days away from the office, seeing how everything functioned in his absence. He stepped up his time away gradually, even spending two weeks in West Africa at one point, until it was time to take the big step. The gradual steps let Miller and his managers address problems and identify trouble spots before he left for the full six months. Miller put his managers in charge—with the single limitation that they neither hire nor fire anyone in his absence—and he went on his retreat. The first few weeks away, Miller checked in by phone periodically and realized he had to adjust his mindset. He was used to being needed and didn’t realize the degree to which he was addicted to feeling connected, plugged in. He finally realized—when he’d call and hear that his capable managers had everything under control—that he needed to let them do the jobs he’d hired them to do. By the end, he’d have a five-minute call every couple of weeks, and he was otherwise free of his business—the business that was running successfully, even in his absence. I was curious about the condition of the business when he returned and how he’d reintegrated himself. Miller told me his revenue had dropped by about 30 percent, but that decrease was all due to the fact that Miller had been the entire sales force. Existing clients had remained steady, and more importantly, had remained happy with their service. What’s Miller doing now? Since he put systems in place to keep his business running, he’s been able to focus on the big picture things that he never had time for before. First on his list was finding a sales staff. He has been able to rework the website, and he’s focused on dreaming up new ideas and forging new partnerships that will enable him to grow Technical Adventures. When I hung up the phone with Miller, I realized that he’d been brave and humble enough to do what most entrepreneurs can’t—walk away for a while and have faith that your business can survive without your constant supervision. We think that no one can do it like we can, and we let our egos keep us from trusting the talented folks we’ve carefully hired. I’m a hands-on guy (like all the entrepreneurs I know), but there are times when we end up getting in our own way. It’s kind of like taking your kid to college. At some point you have to trust that you’ve done your best to give your child a foundation—implemented all the systems he’ll need to make good choices and stay on track to a happy and successful life. At some point, your ego isn’t the most important thing anymore, and the best thing you can do is step back and let your kid—or your company—thrive.